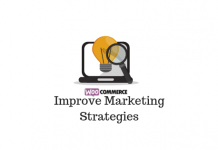 You have seen how to use the in-built Product Importer Exporter of WooCommerce. This plugin works in a similar fashion, but with added features. XAdapter Product Import Export Plugin has a simple interface with straightforward options. You can transfer product information from one site to another in a matter of minutes. Additional features like Evaluation Fields and Scheduled Import Export make the job easier for store owners. 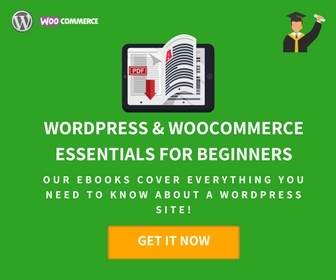 In addition to basic WooCommerce product types, you can import WooCommerce Subscription, Composite, Bundle, Booking and Photography products using this plugin. It is compatible with WPML and Google Product Feed as well. With this plugin, you can import/export product review, in another settings tab. Moreover, the reputation of their support team is awesome when it comes to getting your work done. Often, when a complicated export file or an unnoticed mistake create trouble, you can approach the support team and rest assured. Now let’s see how to import and export a CSV file using this plugin. You need to purchase the plugin here. If you have only simple products in your store, you can also try the basic version. 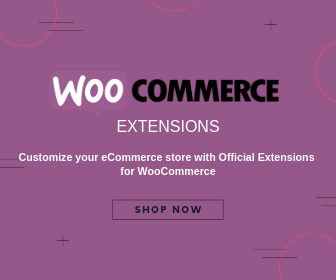 Once you purchase and install the plugin, you can find it on the WordPress dashboard under WooCommerce > Product Im-Ex. Once you go to the plugin settings page, you can see a screen with links for two types of CSVs (Commercial and WooCommerce) and Documentation. Commercial CSV sample can be used to understand how the import file would look like when you are trying to import data that is exported from some source other than a WooCommerce site. Below that you can see the Import button. If you are updating existing products, you can tick the checkbox ‘Update Existing Products’. While updating products, if you want to skip adding any new products that might be present in the CSV, you can tick the next checkbox too. This way only existing products will be updated and any new products in the CSV will not be imported. How to choose the CSV file? You can choose a file from your computer, along with a mapping file (if you have already saved it). The saved mapping file would be of particular help when you are importing a Commercial CSV. A lot of effort required for manual mapping can be saved this way. There is another way to choose the CSV file for import. 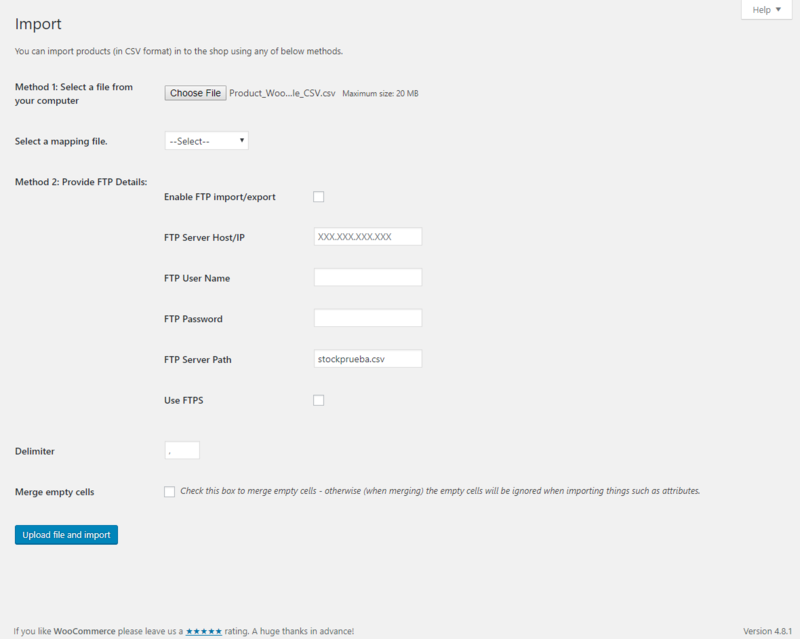 You can enable FTP to choose a file from a remote server. Enter the required FTP details for using this method to select the file. On this page, you can also specify the delimiter (comma by default). Also, there is a checkbox for merging empty cells. If not ticked, the plugin will ignore any empty cells, like attributes, in the CSV. We will use Sample WooCommerce CSV for a test import. Click Upload file and import to move to the mapping section. This screen has options to map the column headers of your CSV file to the respective WooCommerce product fields. There is an option to save the mapping file for later use also. This is especially useful when it comes to commercial CSVs. After column header, you can see another column – Evaluation field. This is a special feature of this plugin, where you can modify the values in your CSV file in bulk. For example, you can add a Brand name to your product title, or reduce the product price by a fixed value. This is really useful when you want to make some quick changes on your site. As you can see, the plugin has automatically matched the column headers with the relevant WooCommerce fields. A quick scan through the fields should reveal the accurate mapping. Click Submit to start the import. You can see products are correctly imported on the product page. Importing of Products using XAdapter Product Import Plugin is complete. There are some aspects of the plugin that you must know to make sure the import is smooth. Your CSV file should be UTF-8 encoded. Multiple values in the same field have to be pipe-separated (“|”). When same images are used multiple times in the catalog, only the image file name can be specified instead of the long URL – this will help to avoid image duplication in the media library. You can export products directly from the product page using this plugin. First, select the products you wish to export, then select ‘Download Products as CSV’ from the drop-down, and click Apply. The products will be instantly downloaded on your computer. However, if you wish to select specific product fields to export, go to Plugin settings page. Here you can specify several things for your export file. You can set a number from where the export begins and the number of products that need to be exported, using ‘Offset’ and ‘Limit’ options. You can choose specific product categories and types to import. ‘Sort’ option determines how the products will be arranged in the CSV (sorting by ID is recommended as it would help when exporting variable products). Click Export Products button and the CSV file will be downloaded to your computer. In addition to the manual import and export, you can automate the process by scheduling an import or export. For this, you have to navigate to WooCommerce > Product Im-Ex > Settings. 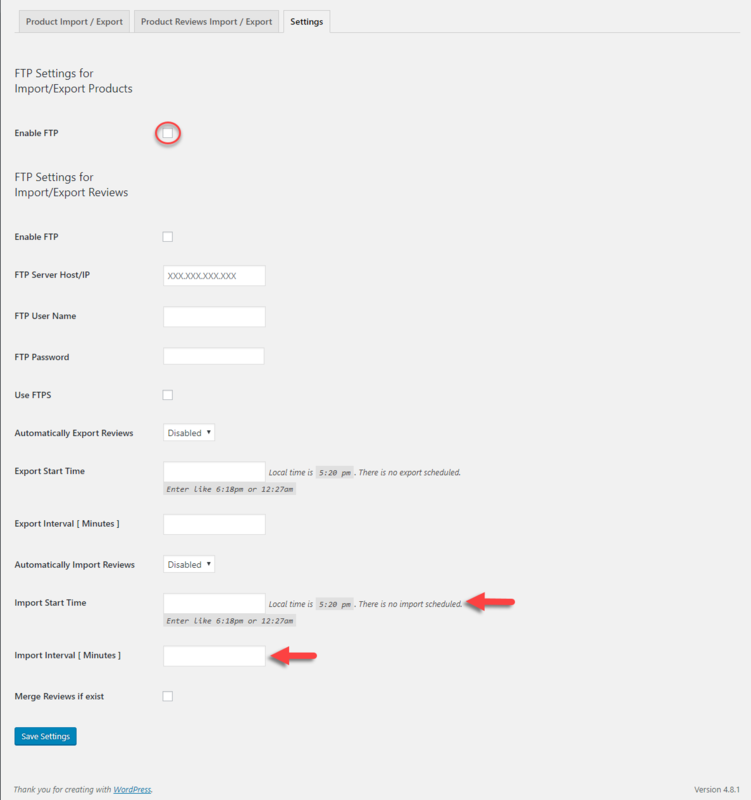 If you want to schedule an import, you need to enable FTP and provide a start time and interval for the import. For example, if you want to schedule an import at 6:00 pm every day, you need to set 6:00 pm as start time and the interval as 24 hours. For further details, you can refer to XAdapter’s article explaining Cron Jobs. Overall, this plugin provides quite a few essential features for those who maintain a complex product catalog. 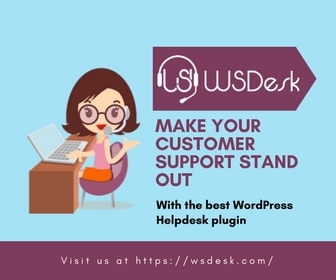 The exceptional support makes this plugin really stand out from the competition. Let us know if you know similar plugins that help with WooCommerce Import Export.